Topshop recently released their AW collection offering – called ‘The Damned’ collection and it’s just choc a block full of dark and moody shades plus complexion perfecting finishers. So you can perfect the pocelain skin, dramtaic lips/eyes/nails look with ease. I’ve been playing with two little items from the collection -one of which has really left me surprised. 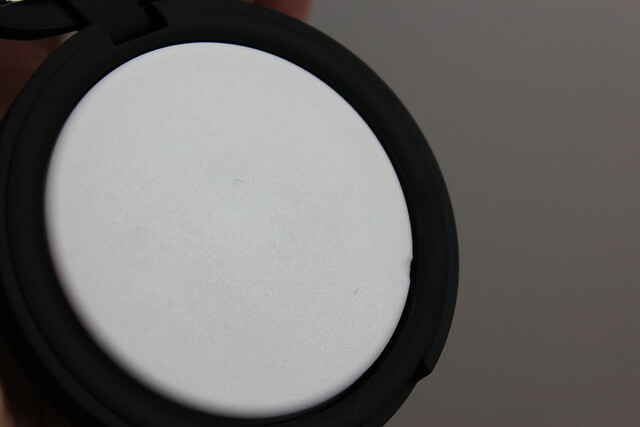 The two items are the Skin Perfecting Pressed Powder in ‘White Lies’ – this one is really interesting. Firstly, the look of it really cofused me, it looked like it was the powder puff part of a powder – but no, that’s just the actual powder. So don’t try and pull it out as I did at first….ooops. I know, blonde moment right there. But the powder itself is really pale white, with a soft shimmer to it – as it’s packed with light diffusing particles that are designed to absorb and reflect light in all the right places to leave skin with a perfected finish to it. As far as powder go, this is about as finely milled a pressed powder that you can find – if you’re maybe considering the Hourglass Ambient Light Powders but don’t want to shell out just yet, then give this little baby a whirl first as it gives you the same sort of perfected, glowy but not shiny finish. Really intersting product! 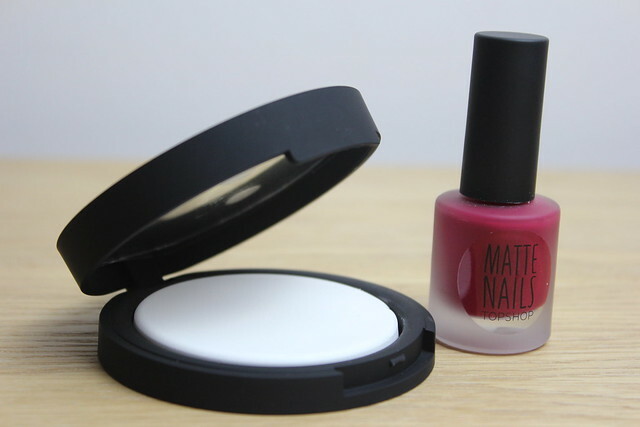 But, that’s actually not the one that had be surprised – the one that had my surprised is the matte shade of nail varnish in the colour ‘Bitter Sweet’ – a rich creamy red that’s the happy medium between a dark blood red and a bright cherry red. What I like about this is that it’s the first matte polish that I’ve really loved. I’ve never been a lover of matte shades, finding it hard to resist the urge to top them off with a glossy slick of top coat. But there’s something about this shade that managed to take matte to a still-polished level. It’s got a matte sheen to it that looks fab – I love to wear this on short squoval nails to make the most of the mean and moody colour. But if – like me – you’re not a fan of matte shades, then give one of these a go and see if it changes your mind as it did for me. This is one of my top picks for an Autumn/Winter nail polish! When I scrolled down while reading and saw the polish on I thought wow that’s a matte polish I could wear, I absolutely hate the matte chalky look of most but this seems to have a flat shine to it. 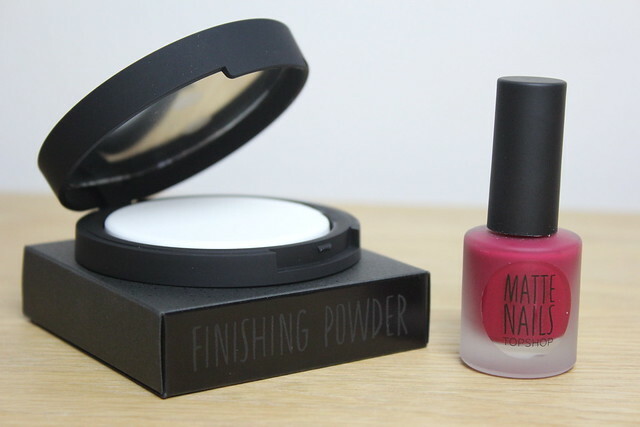 I am also very intrigued by the powder so I might have to pick both of these up. 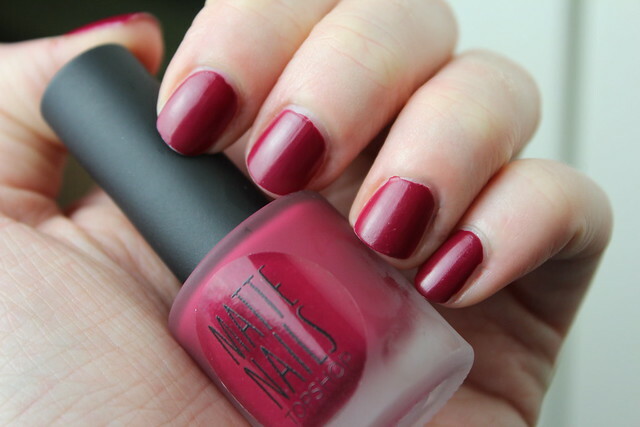 I love the look of the Topshop matte nails! They look gorgeous. And I’m definitely intrigued with this finishing powder…nothing that I love more in winter than perfectly pale skin! Going to have to pop into topshop to get these !